Dayton Hamvention can be compared to the HAM RADIO in Friedrichshafen Germany. This year that show will be June 8-9-10. 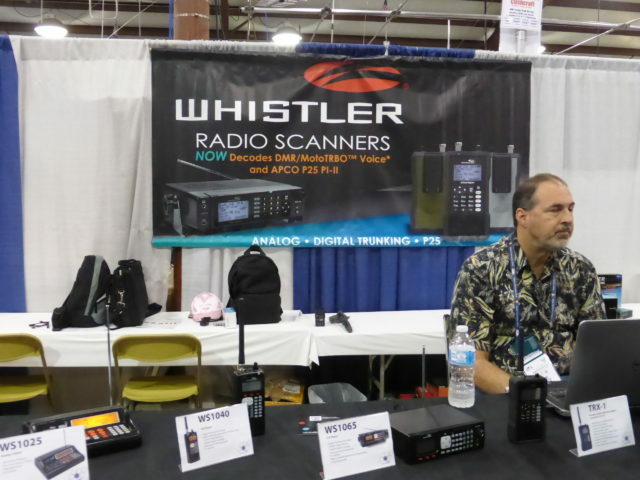 * On both shows are the famous brands like Yaesu, Icom and Kenwood promoting their HAM products. * On both shows there are dealers selling the products. * On both shows there is a flee market where dealers and individuals are present to sell their ‘specials’. * In Germany all is concentrated in a real convention center with several halls. * In Dayton it is on the County Fair Grounds. Many cities have such an area, a few small halls, a large outdoor area where all kind of ‘local festivals’ are organized. From origin it is an area where cattle is sold. * That the location is not as ‘professional’ as Friedrichshafen is absolute no problem. That is… if there is no rain. The big brands and shops are in a few halls and tents that have been put up. But the majority of the participants is out on the field and on a race track. When it rains it becomes a lot of mud. 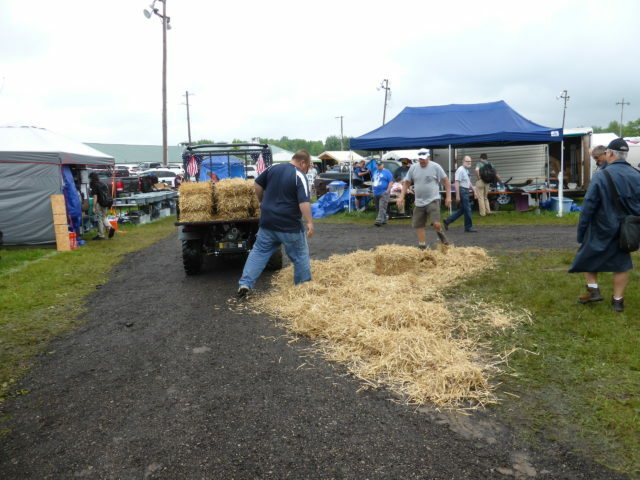 The organization puts hay on wet muddy parts to keep it a bit in shape, but if it really rains the water is on the fields, the tracks and sometimes even runs through the halls. But if the sun is shining the Dayton show is big fun with all the outdoor activities. I did not count but I am sure that in Dayton more brands are present than in Friedrichshafen. There were many antenna brands that are really unknown in Europe that showed their products. It was impossible to find out for all these brands what was new on the market. In Friedrichshafen you will find many more HAM clubs from all over the world. 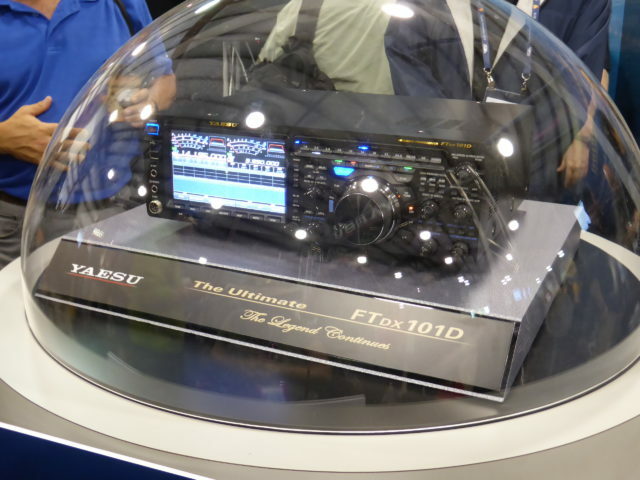 YAESU introduced the new HF set the FTDX101D. 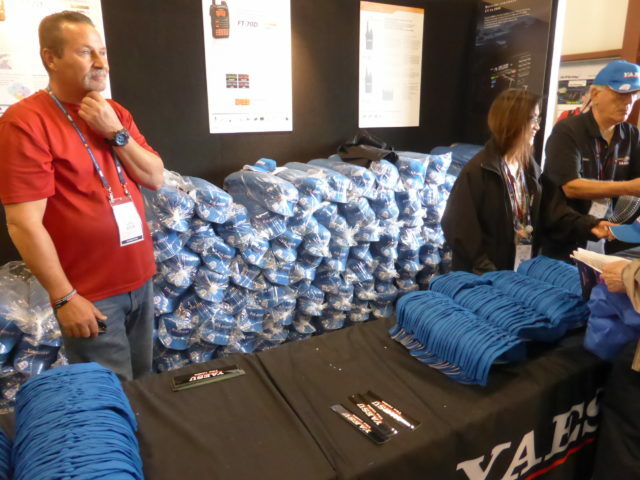 But Yaesu also brought 12.000 caps to hand out to visitors. A pretty impressive number. SCANNERMASTER USA is a major scanner distributor in USA. 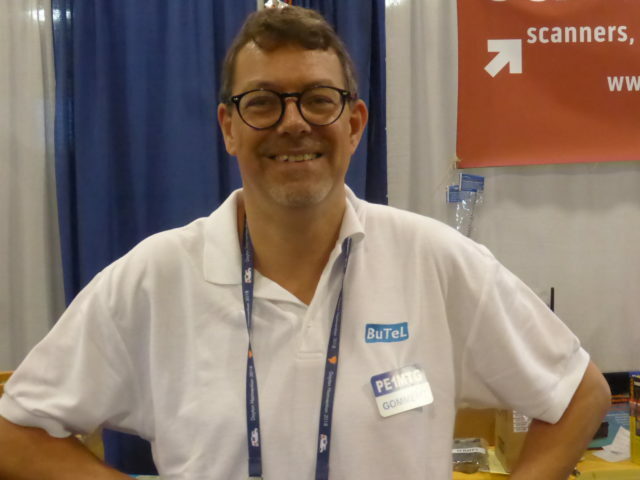 In their booth we spoke Gommert Buijsen from BUTEL Software. Avera is the exclusive distributor for the BUTEL software in Europe on CD-ROM, in USA that is Scannermaster. Gommert showed the sample they had from Uniden SDS100, a total new scanner for USA market. The electronic design is totally new. It is technically a bigger difference than when scanners with Xtals were replaced by programmable processor scanners. Avera is talking with Uniden about a SDS100 version for Europe, if there is news we will publish that in this blog, on the Avera website and Avera Facebook page. Check the video about SDS100 we published 2 weeks ago. 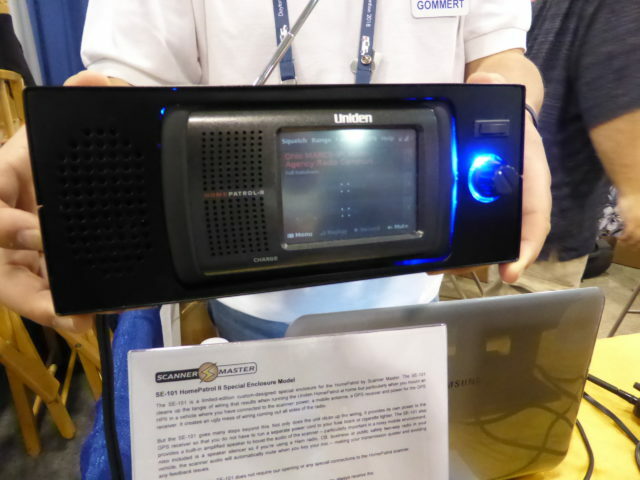 Scannermaster also showed a kit based on the Uniden Homepatrol. There is a cabinet/frame with speaker, amplifier and connection options. (Gommert vragen). This is a model that is not available in Europe. WHISTLER showed nothing new. 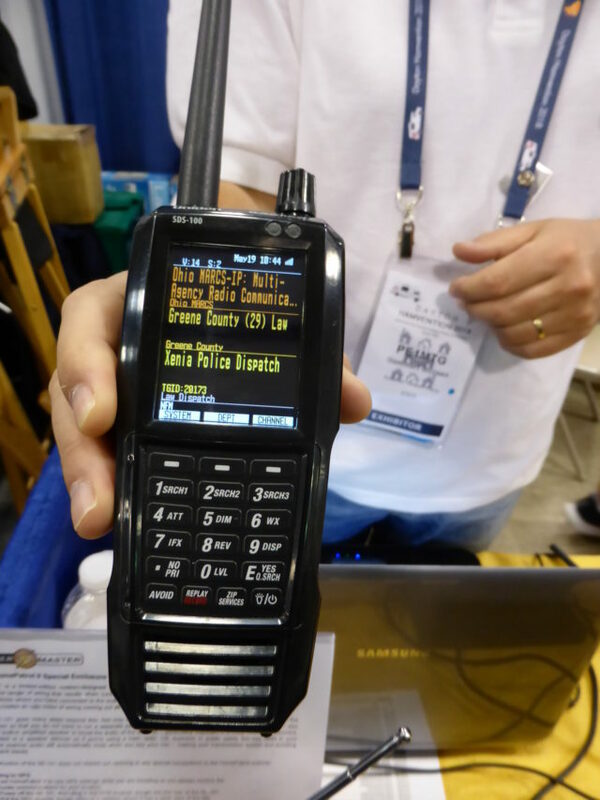 But said that 2 new scanners might be coming to the USA market. But it will be a surprise if these are available within 12 months. In USA brands like to introduce something new a very long time before it is actual coming to the market. There was a rumor that this year Butel software might be available for various Whistler models. That might help their sales in USA and Europe. The field and the race track area is not only a flee market. There are also brands that promote the products from under a simple party tent or from the trunk of a car. There we met Boris from Bulgaria. 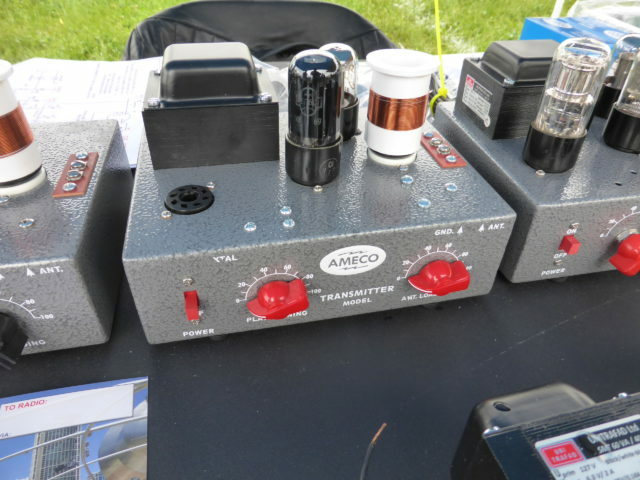 He is a HAM, but also an engineer that develops new HF radio’s under brand name Ameco. 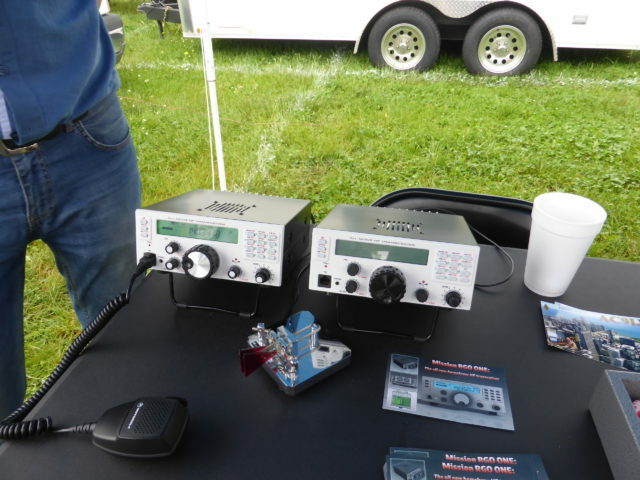 He showed there prototypes from his HF kits that will be available soon. 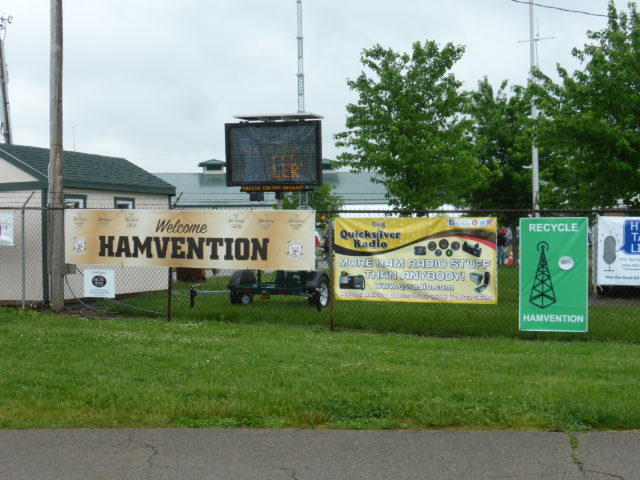 The Dayton Hamvention is always in may. The weather is unpredictable in that period. There was regular rain, but there was also a tropic shower for 4 minutes and after that the sun was shining again. The show is typical American, it has nearly the same vibes as on a rodeo. Many people, all outdoor, food trucks, friendly people and everyone is enjoying the festival. 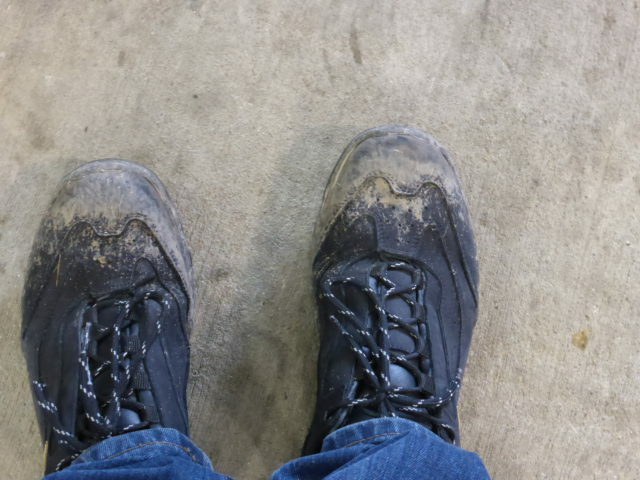 But next time I bring my boots and a large umbrella, because there never seems to be a complete 3-day sunny Dayton Hamvention. 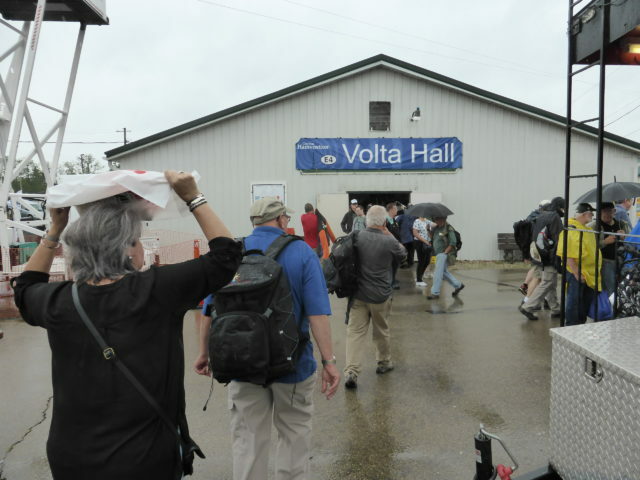 It was my first visit to the Dayton Hamvention and to be honest I loved it. See also this video with a photo impression of Dayton 2018.